Telular SX6D SX6E GSM unlock fixed terminal unit works on 900 and 1800 MHz frequency world wide. The SX6 GSM terminal is ideal for military, government emergency response unit, oil related field, agriculture farms, in vehicle fax or data use and more. Telular SX6D is with GPRS. Telular SX6E is with EDGE. Connects to all European and other part of the world to GSM Mobile Providers. Use with separate SIM or transfer current mobile phone SIM when needed. With RJ11 connector, Telular SX6 fixed terminal allows the use of up to 3 standard telephones (REN). Fax interface is analog fax, group3, 14.4kbps. Telular SX6D / SX6E unit with USB port let you transmit and receive data. GPRS or EDGE data. Telular SX6 GSM 900 and 1800 MHz fixed terminal unit comes with built in battery backup. Telular SX6 GSM unit can be use with external antenna where poor signal reception is encounter. This is for international use where 900 and 1800 MHz frequencies are used. NOT FOR USE IN USA OR NORTH AMERICA. PLEASE NOTE: SX6 TELULAR EQUIPMENT SALES ARE FINAL! Lead time for shipment is 7-10 business days. 1 year warranty from Telular. 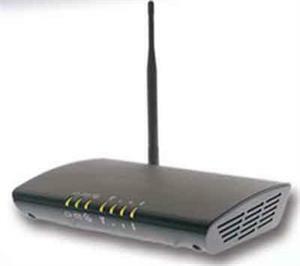 Janus POTSwap 3G Voice Terminal for Verizon Wireless, which offers a smooth migration path from the Telular SX5e Voice Terminal. The Janus POTSwap Voice Terminal has all the features and functionality of a Telular Voice Terminal, plus it is ruggedized.